Here at digitalmarketingprofs.in we make sure that you have access to everything related to blogging and your blogging journey is easier and healthier. Few months back I was going through the internet market and looking for some new site or tools related to blogging and then I found this amazing new SEO tool called SEMrush. I personally tried this amazing tool and the results were positive. As I experienced it personally and found out that the results were positive so, I decided to share it with you guys. As the internet market is growing day by day and new blogs are emerging at a faster rate, the ranking of keywords is becoming hard and harder. There was a time when only a good quality based article was more than enough but now with the growing speed of internet market, it is very important to keep up with good quality keywords as well as the quality of the article to rank up in search engines. Keywords and SEO go together like icing on the cake. Let me introduce you to a site where your keywords and SEO problems are solved easily. It solves all types of problems for example if you’re looking for backlinks, or if you’re checking on your competitors site, or even if you’re looking for doing a complete SEO auditing of your blog. SEMrush does all the work for you. SEMrush is the new site for keywords and SEO that you need to get your hands on if you want your blog or site to be on top in making more and more traffic in short period of time. But before jumping to the whole list. let me 1st tell you what exactly semrush Tool is and how it work. What is SEMrush and How Does it Work? SEMrush is the global tool for top-rated keyword search and also for online competitor analysis. It is trusted by many professional bloggers and SEO sites and it is an American based site near Philadelphia. In 2015, I started using SEMrush and it has been over 12 months that I am using SEMrush, and along the way it became one of my strongest machete making my backlinks strategy strong for my blog, by analyzing backlinks of different blogs I am competing with. This is the tool which made me much smarter in terms of keeping an open eye on my competitor, taking proper steps and analyzing my sites. With this magical tool, you can do detailed research easily with the URL of your blog or your competitor’s. You can then check yours or their keyword ranks in different countries from around the globe. You can also check the ratio of traffic according to those keywords. Right now SEMrush can be found in U.K, U.S.A, SPAIN,AUSTRAILIA, and few other 26 countries. 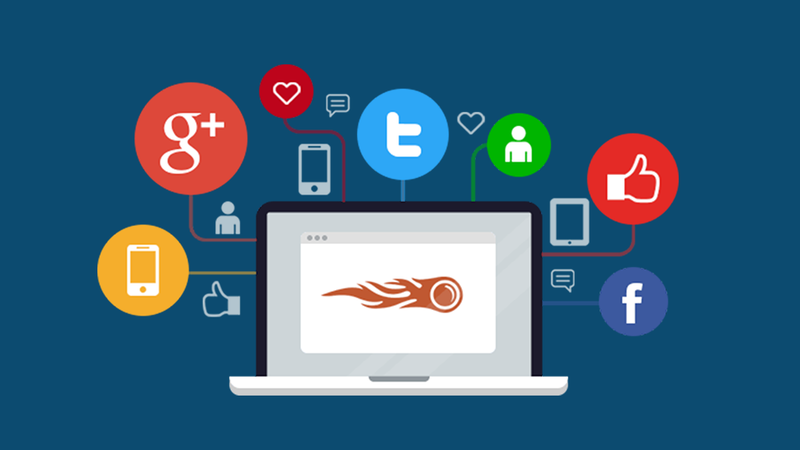 SEMrush is associated with Google search data to analyze your blog or your website to find different keywords. It also finds you long tail keywords. SEMrush has more than 46,000,000 domains and more than 120,000,000 plus keywords in their database. Now I am going to explain to you how SEMrush is used. Here is the screen shot of a blog which will explain to you how the details of any keyword on the internet market. In this screenshot, you can see the rankings of different sites. Now I am going to give you an example of results from different domains. The best part about this one is that you can even check your competitor’s domain all you need to do id type the name of the domain in the search bar and here is what you get as a result. Here is the YouTube tutorial just in case you got confused and want a more clear idea .Here is the YouTube link that explains all about SEMrush tutorial. Here are some of the features of SEMrush. In Analytics Reports, you get insight your competitor’s site and take a look and their strategies in display advertising, organic and paid search and link building. See what best keywords your competitor is using. Observe position changes of a domain. Combine and visualize data to compare competitive domains and estimate keyword difficulty. You can launch Global campaigns for your site and get all the important metrics regarding its competitors, keyword rankings, and on-page health from just one place. These were the features of SEMrush. Now let’s talk about price. So here are some of the reviews of those people who are using SEMrush for quite a time. Let’s see what they have to say about SEMrush. SemRush is the real deal. And excellent product. And I love that BeRush program because I can earn a few extra dollars by referring my clients . Fantastic – I love SEO Quake. It was recommended to me by my SEO guy and it has revolutionized the industry completely. It is so simple to use and very user-friendly! What more could you ask for from an SEO tool ? Flawless, thanks. Wow, I can only say that without SEMRush, I would have a much harder time closing SEO business. The tool gives me so many important (damning) insights into a potential client’s SEOstatus that it’s very hard for clients to say “no” to my offer to help out . The information you get from SEMRush is amazing, especially at the pro level. But even their free Firefox add-on “SEO Quake” is one of the best extensions since sliced bread . SEMRush makes assessing the competition fast, easy and gives you a real picture of who you have to beat in terms of SEO . You are awesome! Used their SEO Checker tool. It is so awesome! I found more blogs with high PR to comment on and strike a deal with. This is a must for every Social Web Surfer/Blogger/Internet Marketer. Still having any doubts if you should use SEMrush or not so, why don’t you give it a try and clear all your doubts. Click on the link below and try SEMrush for free it gives you 14 days free trial. You can check all its features yourself and experience SEMrush. How To Increase Online Visibility With Classified Advertisements?